After takeoff, the right engine failed. The aircraft stalled, hit tree tops and crashed on houses located in Kingasani neighbourhood. Only one passenger survived and at least 28 people on ground were killed. The Ministry of Transport was sacked after the accident due to inability to reform all aviation problem existing in DRC. 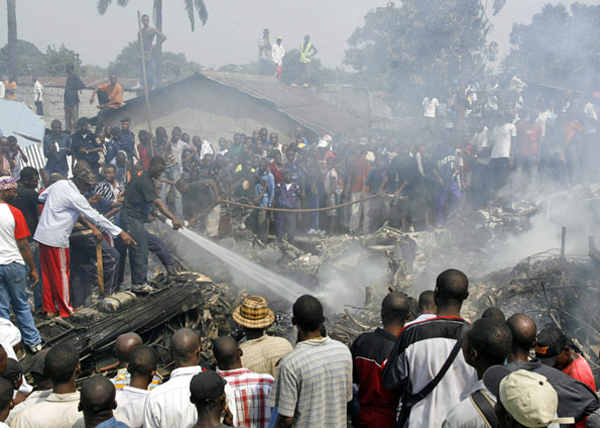 The present accident is the worst ocurring in DRC since 8 January 1996 when an Antonov AN-32 crashed also in Kinshasa, killing 237 people.